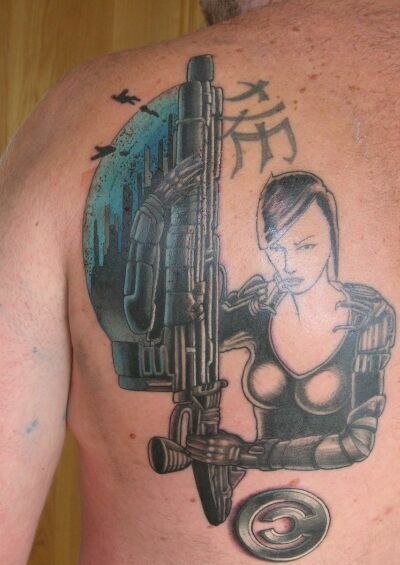 Apparently, Skarsnik wants to prove that he is a true ‘Eve-Online’ gamer by plunging into the $3000 tattoo project. Skarsnik would ink giant Eve-Online game tattoos on his back depicting the game’s four races. The first piece of work, as shown in the picture above, took eight hours to complete, costing £100 an hour, and you can imagine how much more pain he has to go through to deck his full back with all races. The Eve-Online game wallpapers are enticing and anybody would definitely love to etch them permanently on their skins without giving a second thought. None other than Louis Malloy of Middleton Tattoo Studio is inking the whole project.